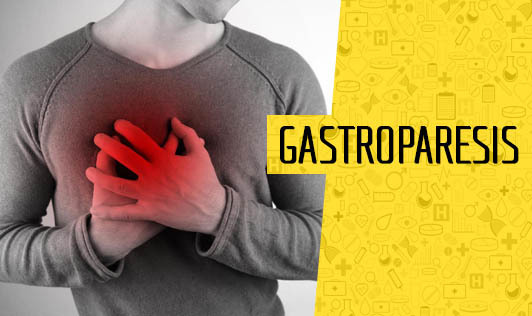 Gastroparesis is a condition in which one's stomach cannot empty itself of food normally. This is due to the damage to the vagus nerve, which regulates the activities of the digestive system. A damaged vagus nerve prevents the muscles in the stomach and intestine from functioning, preventing food from moving through the digestive system properly. This condition is a chronic condition which means that the treatment usually doesn't cure the disease but there are steps one can take to control it. Treatment options include making changes in the diet, medications and surgery. Contact your doctor immediately if you have any signs or symptoms that worry you!